We lost our father to Cancer when he was only 54 years old. Since then, I have been on a mission to figure out why cancer was tearing apart so many families and destroying so many lives. I started to consider what was in my home and what I was putting on and in my body. The research I did left me speechless, disturbed and quite angry at the information I uncovered. Additionally, I had suffered terribly since a child with Eczema and Psoriasis, even washing dishes caused me to have burning, itching skin. I had literally used every available over the counter remedy and prescriptions with little to no relief from my symptoms. After dumping ALL of the chemicals and moving to a green, clean product line my lifelong problem simply vanished. Please know that large, well known manufacturers do not have your best interests at heart. The American Association of Poison Control Centers reports a child being poisoned every 30 seconds in the United States. The California Environmental Protection Agency reports 54% higher death rates from cancer due to the daily exposure of hazardous chemicals found in ordinary household products. Laundry detergent pods are mistaken for candy and over 6,000 children and toddlers are being sent to the ER annually and over 17,000 calls to poison control over this product. 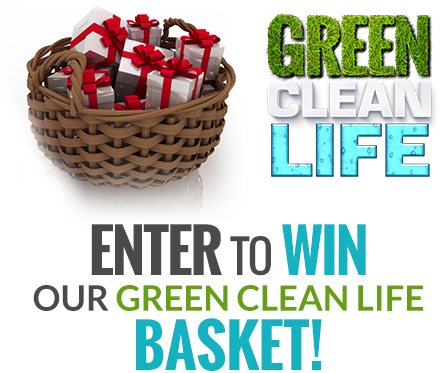 Green Clean Life is here to educate and provide you better choices to help you be in control of your families well being. Our choices have been vetted AND are in most cases as affordable as the products you are already using from your grocer. The Green Clean Life Movement is here to shatter what you think you know with the cold, hard facts & provide alternatives.